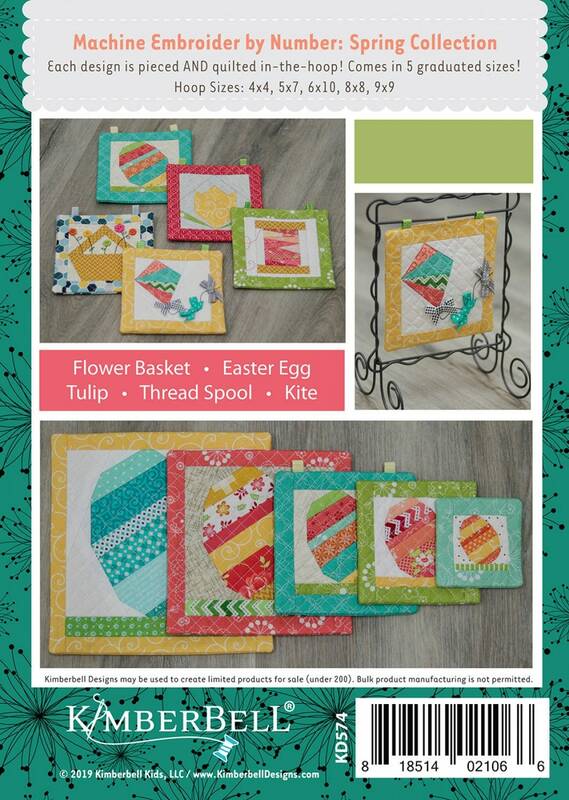 Kimberbell’s original Machine Embroidery by Number project CD includes a collection of five favorite springtime icons. With the look of paper piecing, each section of fabric is sewn with precision on your embroidery machine. 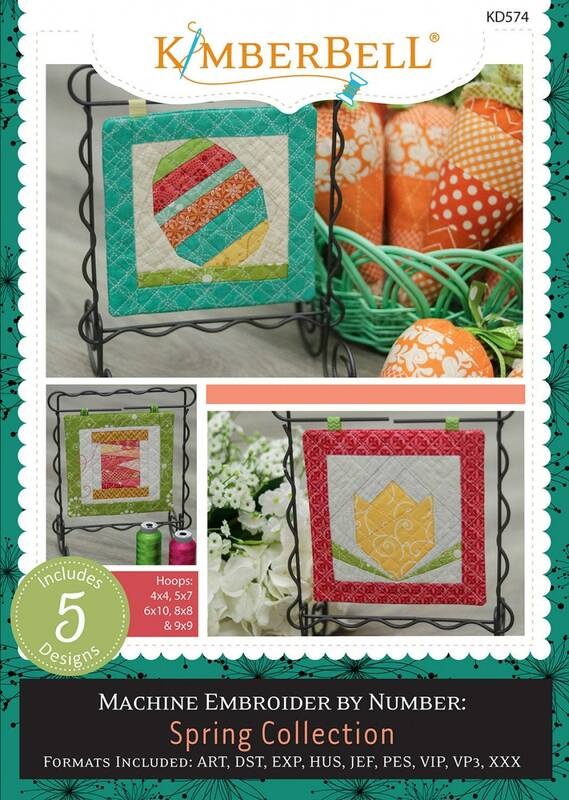 Crosshatch quilting and optional ribbon loops for hanging complete the mini quilt in all five sizes. From extra-small to extra-large, you’ll find many ways to display and use each one—coaster or mug rug, potholder or placement, seasonal ornament or home décor. The smallest size even makes an adorable pin cushion.